Prior to development of any application, Development Company should know the exact market and opportunities for the development. In the market of mobile application development, iPhone 3GS application development is challenging job because after the launch of Apple iPhone, consumers have downloaded approximately 25 million applications in first ten days. We understand the importance of market knowledge and the product functionalities in depth, to plan effective strategies for more satisfactory results in projects of application development. Bottomless Product knowledge is necessary as in the development of mobile applications, large and lengthy applications are useless, and most of the users love to work on simple & straight forward applications. Our professionals understand the fundamentals of iPhone SDK 3.0 to develop customize applications. Recently we have developed a new iPhone application named Surf Log, this application allows user to record all surfing sessions. Users or surfers can define places they surf and surfboards which they use for surfing as well as application allows them to create log entry for each surfing, breaks in each surfing and boards used respectively. 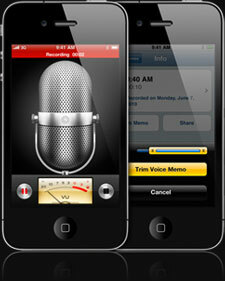 Application should be compatible with both iPhone 3GS and iPod Touch. Application should record all the surfing sessions. Application should allow user to create log entry which can record all conditions such as wave size & quality, and wind direction. Application should allow session measurement on a scale of 1 through 5. User should be allowed to browse application either by break or board. Application should maintain History of surf sessions. As per demands of the client regarding surf Log application, our professionals have provided end to end solution for the fuller satisfaction in using the application. Professionals have made application which allows administrator to enter all characteristics for defining Surfboard such as name, length, width, thickness, comments and photo. Surf breakcharacteristics also can be defined as area, name, comments and photo. Administrator can select area either enters new area. All log entry characteristics for defining each log entry. All functional requirements of the application regarding start up of application, status panel, all setting buttons, board button, breaks button and log button. Searching and browsing capabilities of application such as browse by board, browse by break, browse by most recent. Facility to View session log entry provided. User can view history any time of previous surfing sessions.